You love when your child smiles, and naturally, you want his or her smile to be healthy and beautiful. Reddy Dental Group can help your child enjoy or achieve a healthy grin with our family dentistry services. When Is the Best Time for a Child to Visit the Dentist? When it comes to pediatric dentistry, the earlier a child visits the dentist the better. Our practice treats children as young as 2 years of age, and we are very experienced in providing gentle care to toddlers, preschoolers, and older children alike. Should My Child Visit the Dentist Before Getting Permanent Teeth? 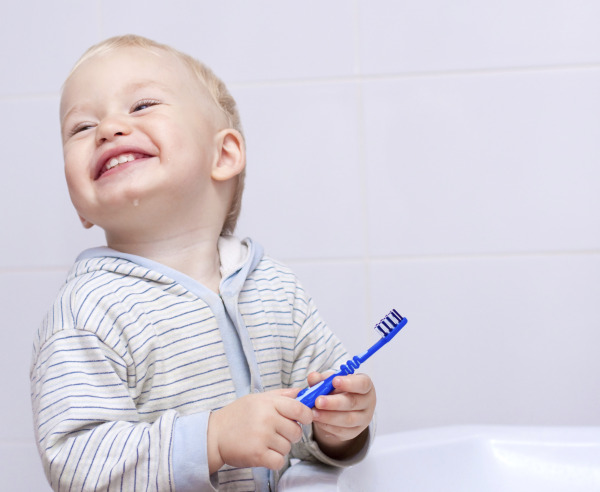 It's natural to wonder about why it's necessary to have baby teeth cleaned and examined on a regular basis. Here are just a few of the reasons why you can't afford to put off your child's dental care. • Getting into a healthy oral care routine at an early age helps to promote good oral hygiene all the way into adulthood. • A dentist can spot any potential problems with developing teeth and address them quickly. • Baby teeth are susceptible to decay, and even young children can develop gum disease. • Taking a child to the dentist at a young age will help him or her feel more at ease receiving dental treatments throughout life. How Can I Make Sure My Child's Teeth and Gums Are Healthy? Parents can have a tremendously positive impact on the health of their children's teeth and gums by promoting good nutrition and a daily oral care routine. With 20 years of experience practicing as a family dentist in Hawthorne, Dr. Reddy will provide you with the education, facts, and tips that you need to help you take the best possible care of your child's teeth and gums at home. What Is the Best Way to Keep My Child Calm at the Dentist? The environment of the dental practice and the approach of the team will ultimately determine how at ease your child feels. Reddy Dental Group has developed a reputation for being one the best family dentists in Hawthorne because we have set up our office to be a friendly environment for kids. Another thing we have added to our practice to ensure your comfort are display monitors in our operatories. Your child can watch their favorite movie or program on Netflix or Amazon. This distraction can help him or her remain calm and relaxed. Our team will take the time necessary to explain what is happening throughout every appointment, taking the fear and uncertainty out of treatments. At Reddy Dental Group, our entire team wants every member of your family to feel at home and comfortable while at our Hawthorne family dental office. We believe that the best way to start a positive relationship with a dentist is to visit for a consultation before a first appointment. During this initial appointment, you and your child can get to know Dr. Reddy and find out more about our approach to dentistry. Contact us today to schedule your consultation.